The weather forecast for today was not wonderful. It was allegedly going to be better in the East than West so I decided to drive to Patterdale for an ascent of Place Fell. 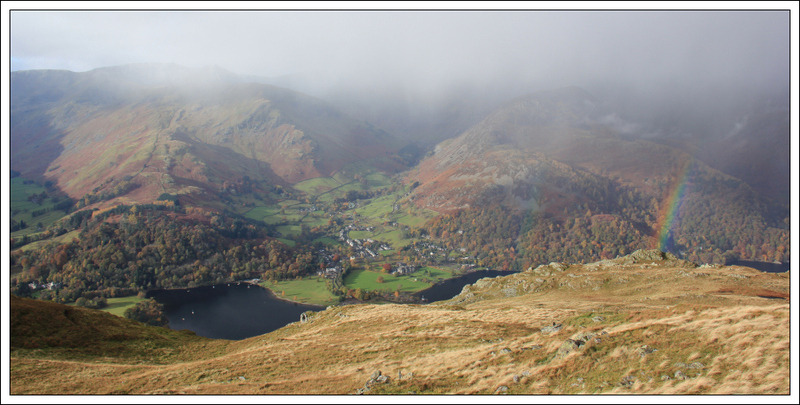 I have been looking forward to an ascent of Place Fell for some time. 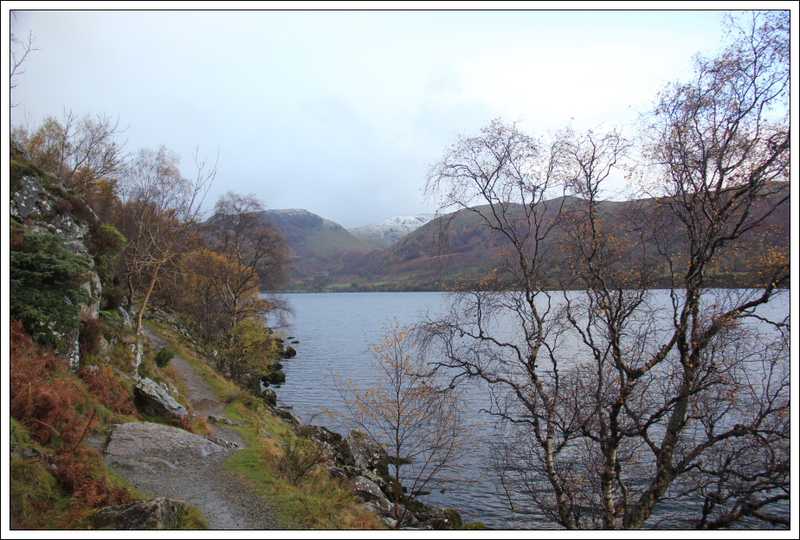 Rather than a quick up and back via the same route I opted to undertake the circuit including the low level walk back alongside Ullswater. 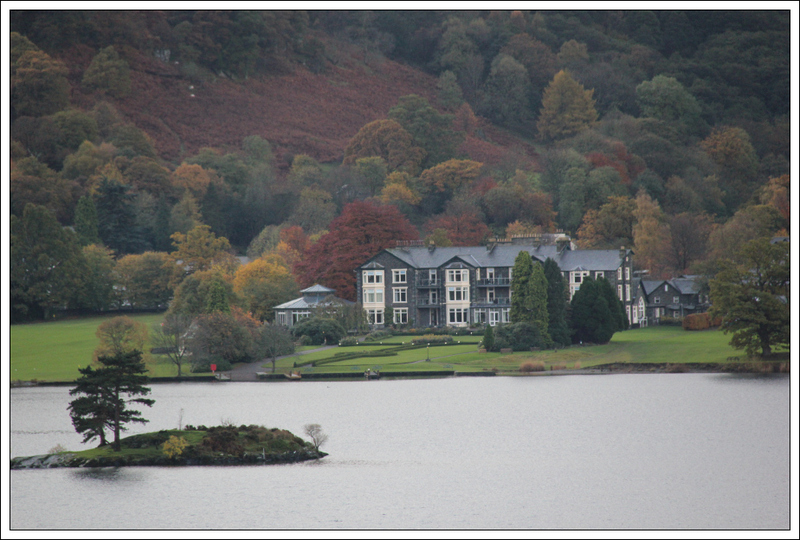 I was fortunate to arrive sufficiently early to get one of the few free parking spaces in Patterdale. 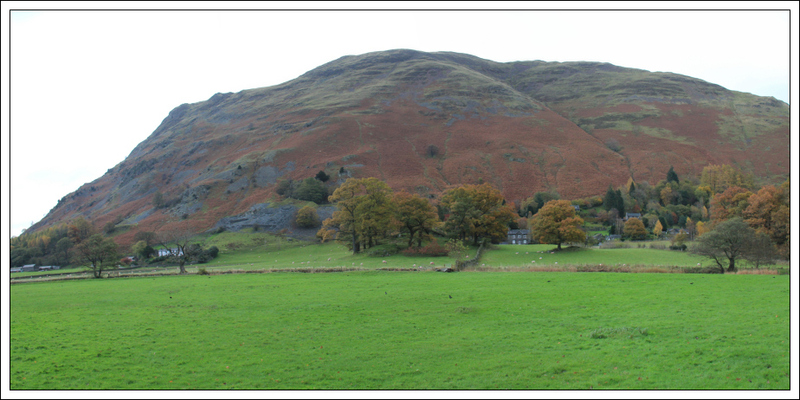 From Patterdale, I walked a short distance along the A592 before turning left along the minor road leading to Rooking. 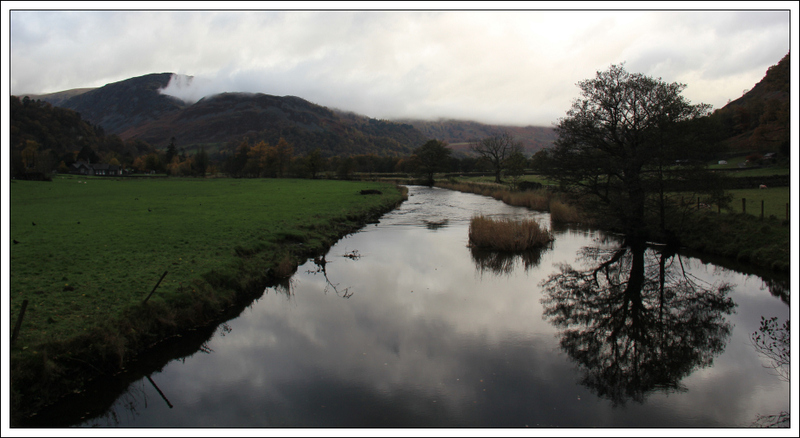 I stopped on the bridge over the Goldrill Beck to take a photo of Goldrill Beck. 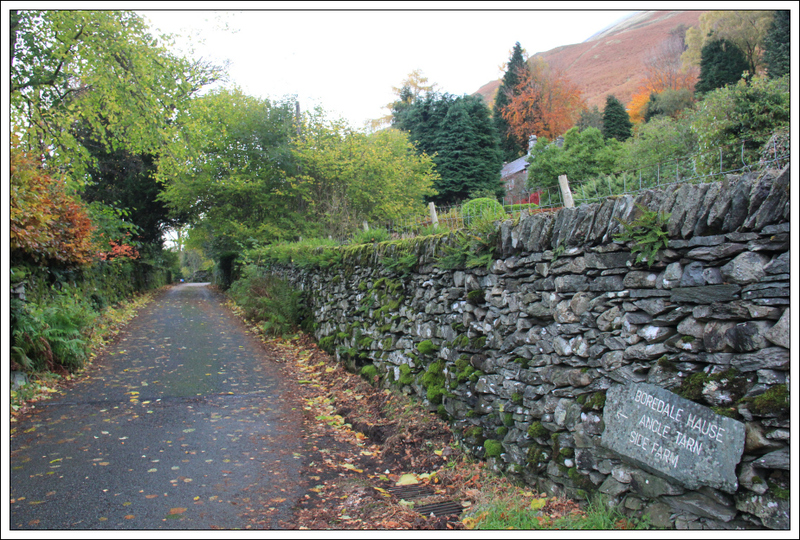 On reaching Rooking, I followed various signage directing towards Boredale Hause. 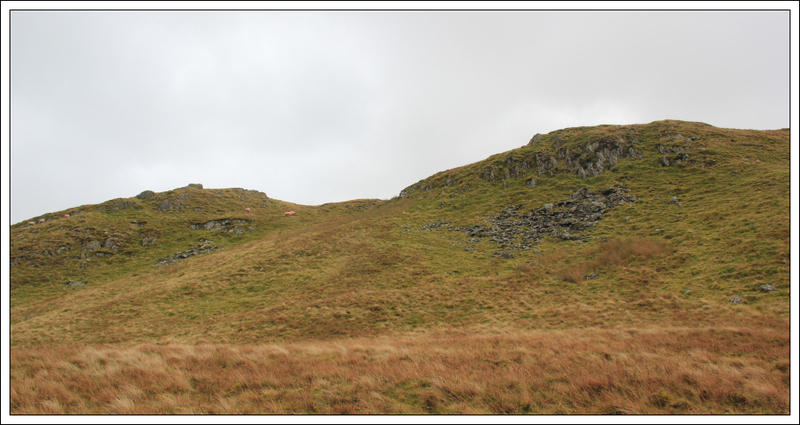 The path slanting diagonally up to Boredale Hause was excellent – a nice gradient, not wide and eroded and not that visible from the A592. I was pleased with the weather as it was much better than forecast. 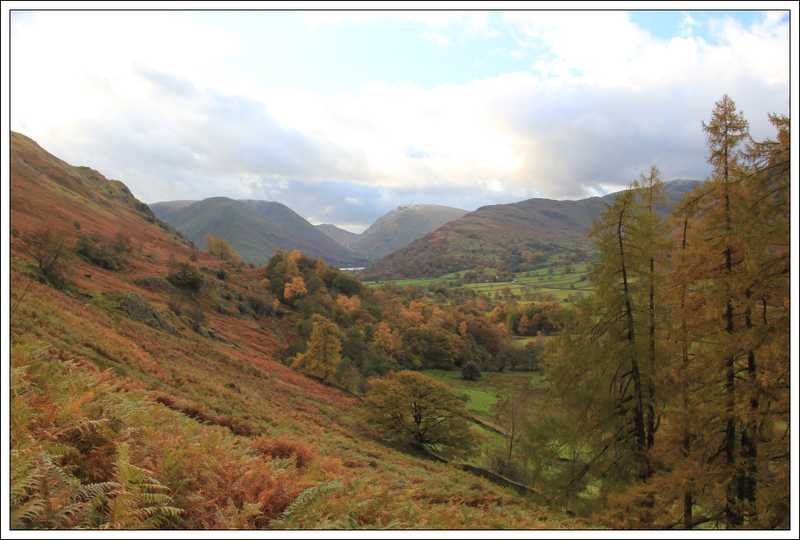 As I made my way up towards Boredale Hause I could see a good number of people behind me on the path. 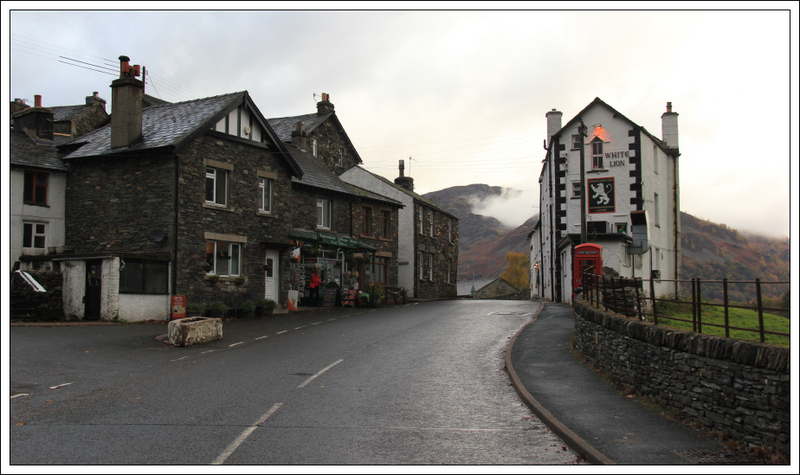 I wondered if Place Fell was going to be busy today. As it turns out I didn’t see anyone else on Place Fell. Everyone ascending towards Boredale Hause subsequently went off towards Angletarn Pikes. 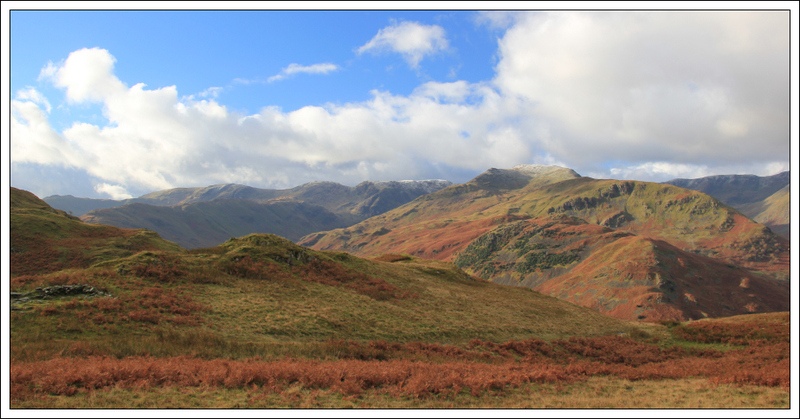 From Boredale Hause, I thought I was looking towards the summit of Place Fell. What I was actually seeing was the top of Round How. 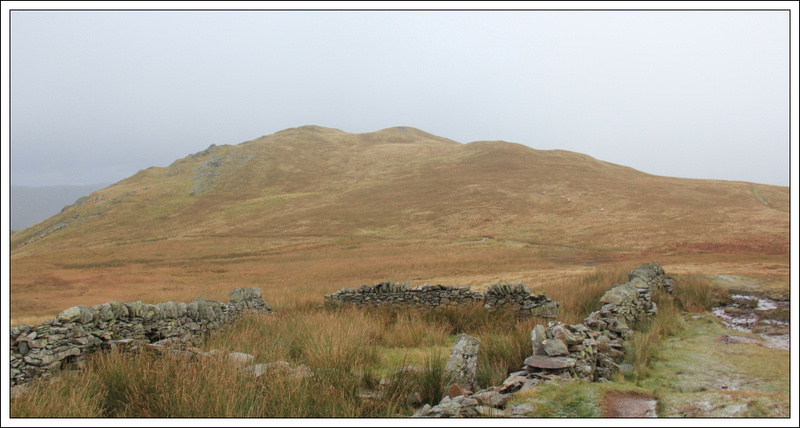 Place Fell is a short distance beyond. 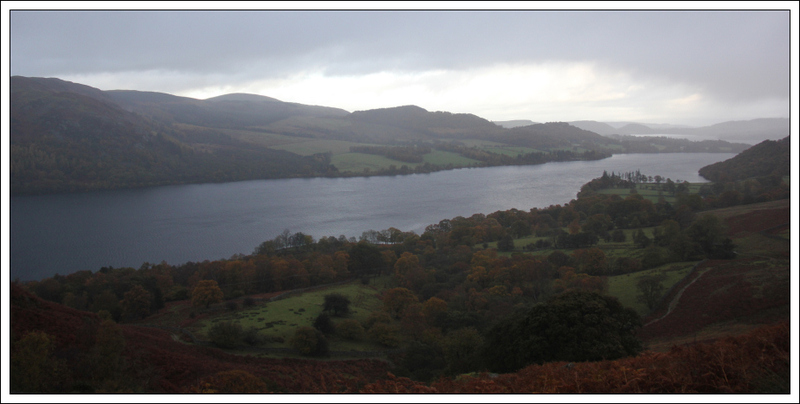 By the time I reached the top of Round How I could see a bank of dark clouds approaching from the West. I guessed it wouldn’t be long before I ended up soaked. 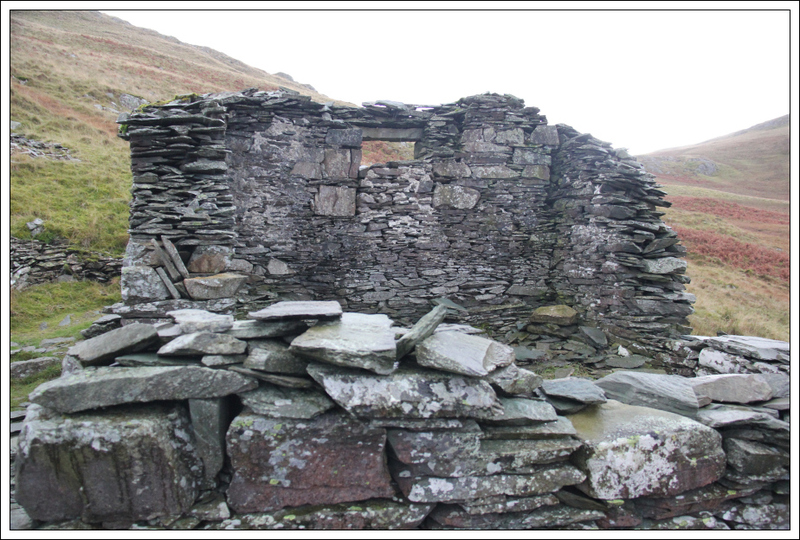 According to the Database of British Hills, the summit is a rock located 4m from the cairn. 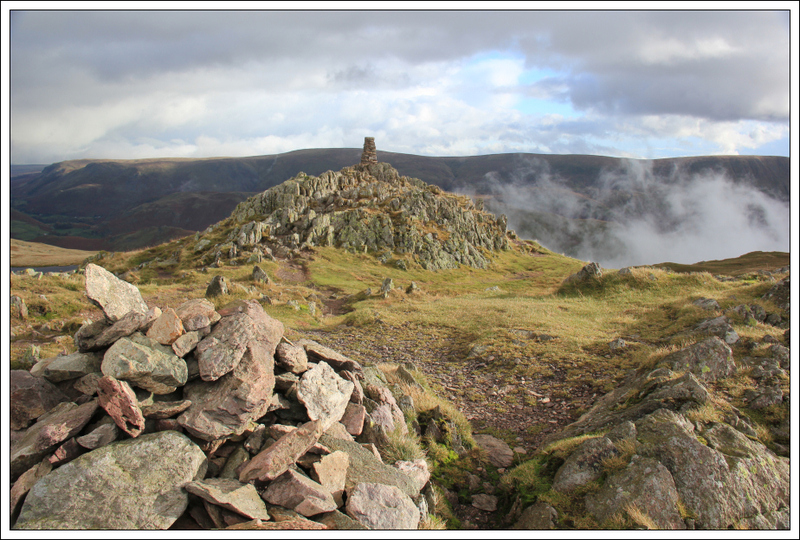 I visited the trig point, the cairn and this summit rock. The rocks below the trig point looked a good bit higher than the summit rock beside the cairn. I am not convinced the rock beside the cairn is the high-point. I didn’t hang around long at the summit. 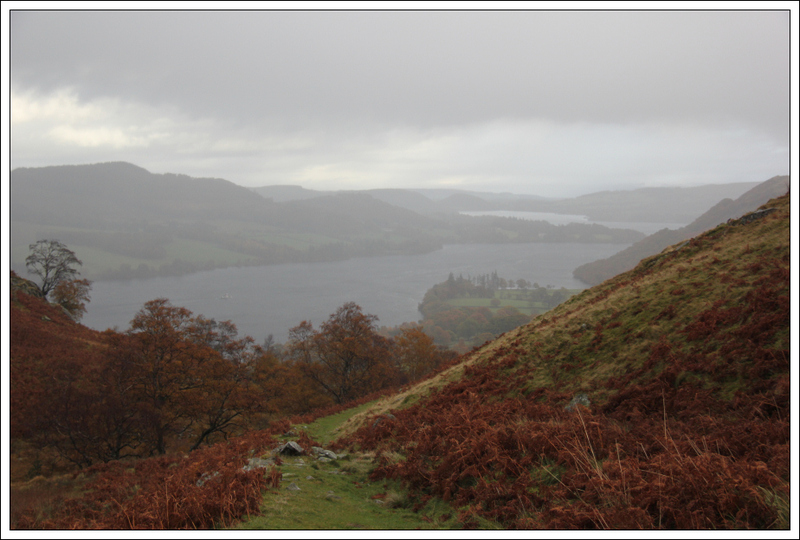 During the descent to the col, between Place Fell and High Dodd, I didn’t get soaked but did get bombarded with hailstones. The hailstones persisted for at least fifteen minutes. 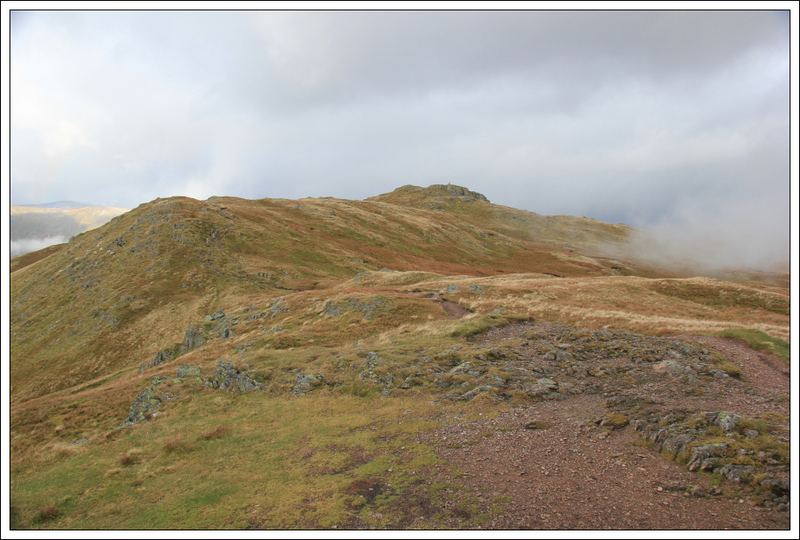 As High Dodd was pretty-much en-route, I decided to also ascend to its top. 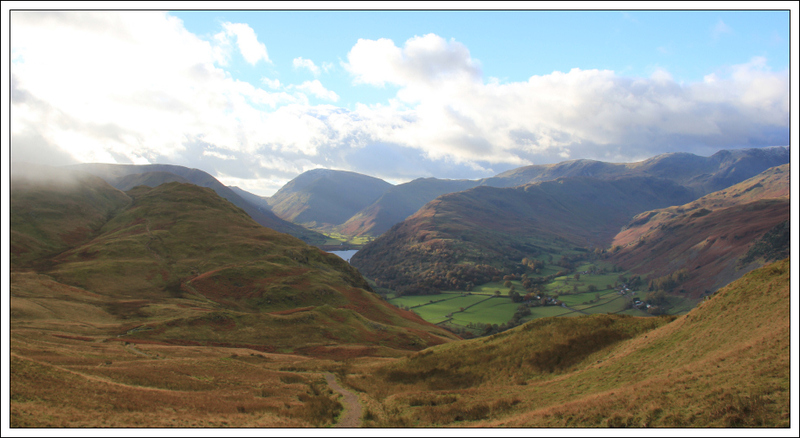 I’m not sure why the likes of High Dodd doesn’t make it into the Wainwright list when the likes of Mungrisdale Common does. 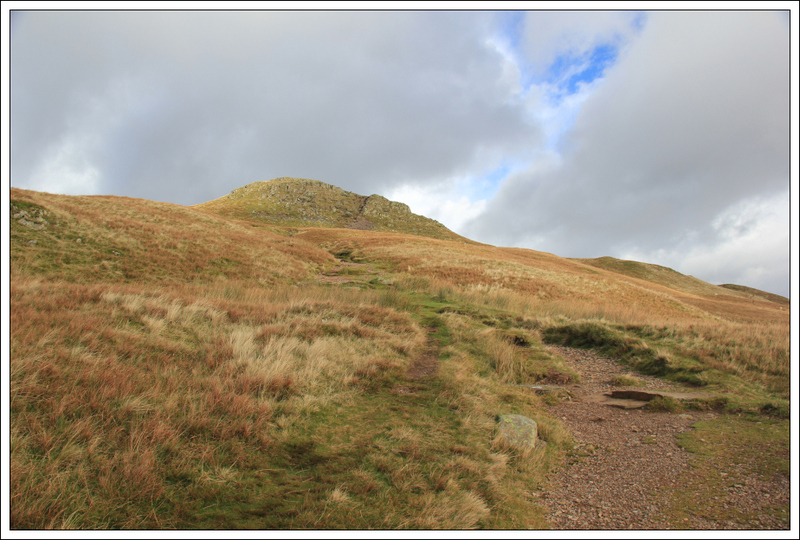 I visited both of the tops of High Dodd before making up a route to meet the path without having to back-track. I regained the path at a small ruin. 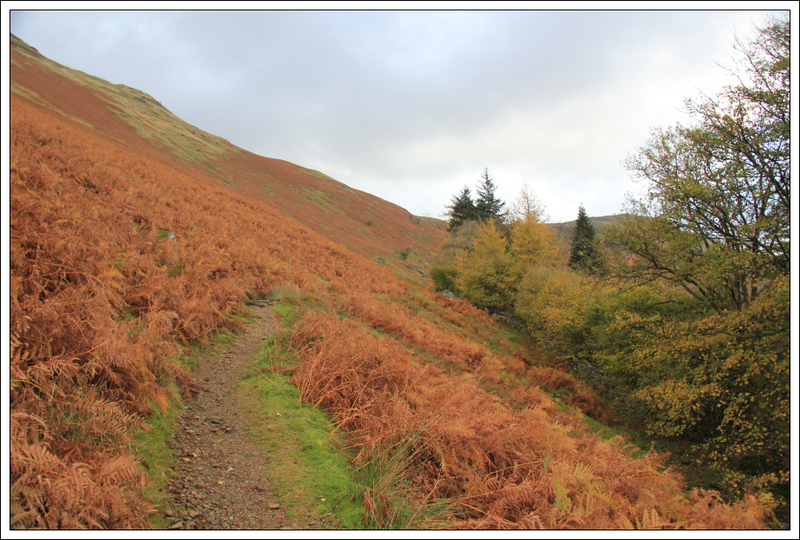 The descent to Ullswater was straight-forward. I was looking forward to seeing Scalehow Force during the descent. During the descent, I could see the top of Scalehow Force but didn’t see the waterfall until reaching the low-level track at the base. 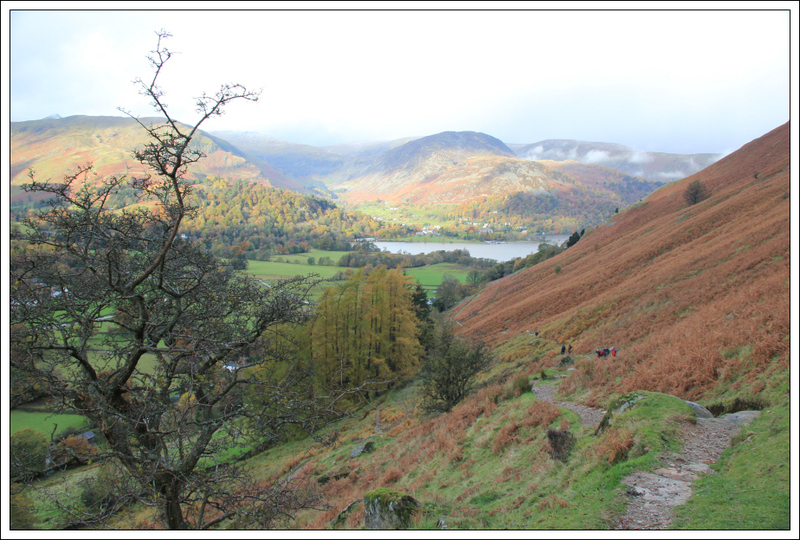 The track skirting round the base of Place Fell, alongside Ullswater, provides excellent views of Ullswater. Although it is a low-level track there is quite a lot of ascent and descent. I encountered a good number of people on this low-level path including a number on mountain bikes. 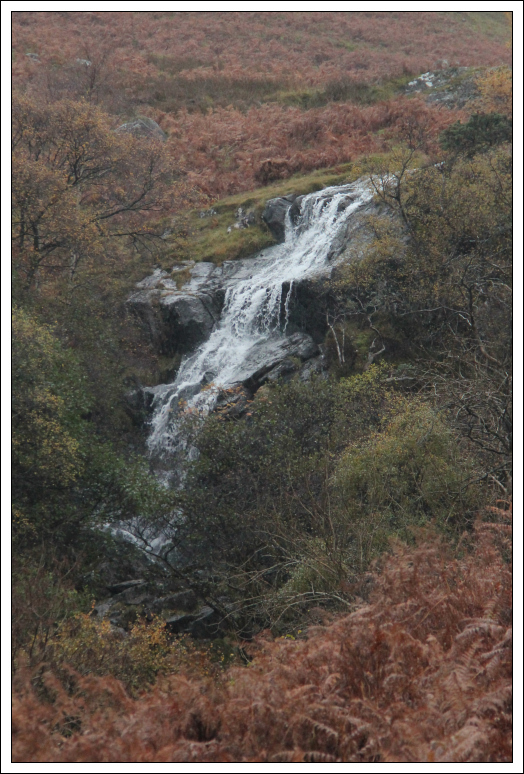 I got fairly wet during the walk back as the rain was fairly constant. 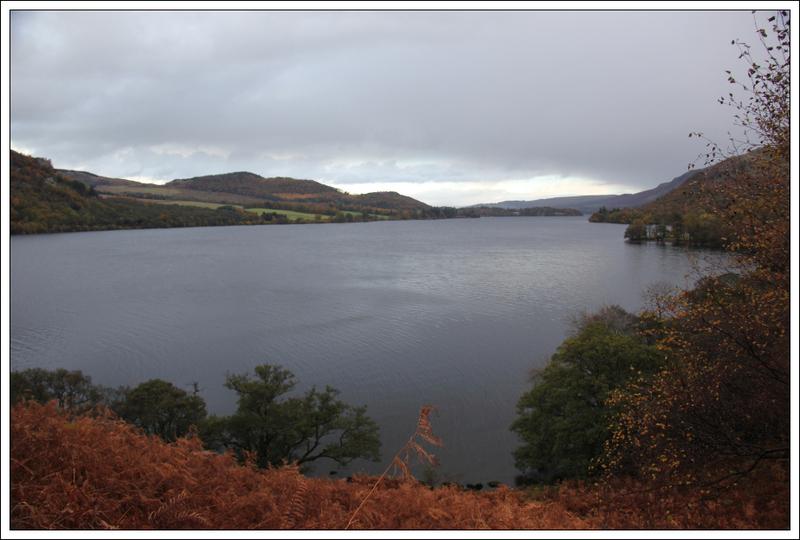 I really enjoyed this walk despite the hail and rain. 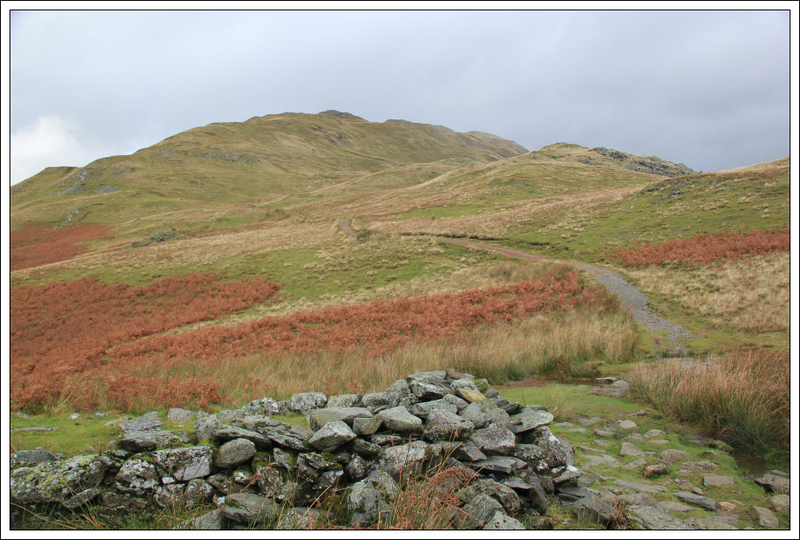 I think it was a good decision to do a Far-Eastern fell as I got as far as the summit before encountering the bad weather.